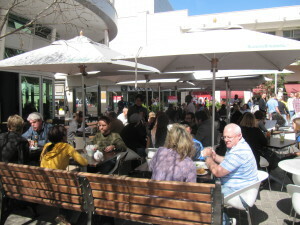 Liz at Lancaster is 3km from Rosebank, a 5 minute drive. 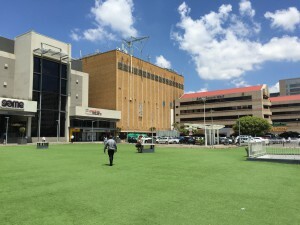 While the business centre is growing very fast, it has long been a shopping mecca with at least 3 interlinked malls: http://www.rosebankmall.co.za/ http://www.thezoneatrosebank.co.za/ and http://www.thefirs.co.za/ . While all the options for large department stores and chains as well as smaller niche specialty shops are available in a conveniently contained area, there are lots of open spaces and outdoor eateries and places to hang out and watch the world go by. With Gauteng’s climate, we don’t like enclosed malls built on models from colder climates.